When you enter the bathroom after a long tiring day, you must be expecting a luxurious experience. Your bathroom should look that inspiring to wash your worries away as you take a step inside the bath full of lukewarm water. Heaps of thoughts are given by both the accessory manufacturer and the designers to add that contemporary touch to the bathroom. However, you always have the choice of customising the design as per your choice when you choose Direct Tile and Bath to be your designing partner. Like every year, the bathroom designing trends are going to be changed in this year too. Some of the designs from previous years will go away, and some of those will stay back. And, as you trusted designing partner, we wish to inform you about some of the bathroom tiling trends that are going to be quite popular in the coming year. Have a look at the trends of 2019 for the best bathroom tiles in Perth from which you can make your choice. Patterns are indeed the first preference for tiles. The patterned tiles have become quite popular in recent times, and it will continue to dominate the market in 2019 too. Available in both traditional and contemporary patterns, these tiles are going to steal the show in bathroom designing. 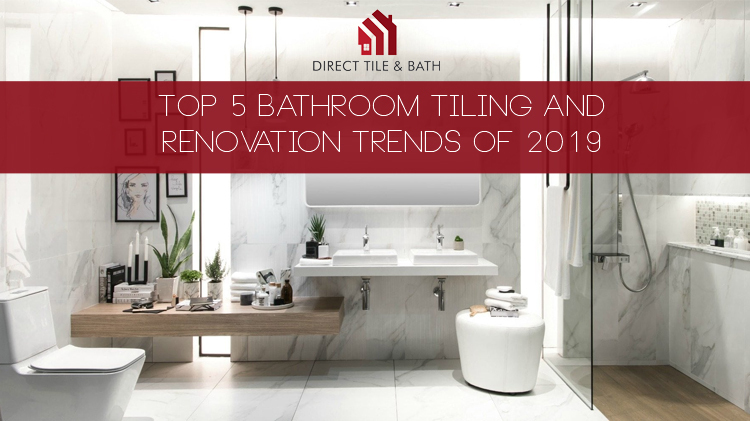 While in 2018, the minimal look for bathrooms was quite popular and for that reason, the sales number for these tiles has also increased. It has turned more narrow, sleek and minimal. The colour patterns have also changed quite a bit. Ivory and grey are the most popular choices among these colour patterns as it makes the tiles look sleeker. Whether you choose to go with the fish scale patterns or the subway, the use of dark colours is undoubtedly the new trend to be followed in the coming year. It works for both wall and floor options. You can pick the wood look tiles for this purpose as it can accentuate the decor in the best possible way. When you are searching for cheap tiles in Perth without compromising on the appearance of your bathroom, choosing vertical tiling options will be just great. Those are quite cost-effective and offer a contemporary look too. You can use this vertical tiling pattern to create a feature wall in your bathroom also. Check the web for inspiration and references. The trend of freestanding baths was there for quite a long time. In 2019, you can expect to have a wide variety in that range. The baths will go sleek in design and correctly merge with the contemporary bathroom decor too. So, here are some of the most anticipated bathroom designing trends that are going to be followed in the year 2019. Choose your trusted tiling and renovation specialist, Direct Tile and Bath for this job and give a complete makeover to your old bathroom style, right away. Talk to our experts today, and we will fill you with some more suggestions. Getting quality tiles but at cheap rates! Well, sounds somewhat far-fetched when you begin shopping. If you want quality, you will have to pay off a fair price, and if you go for the low quality ones, then you are sacrificing your desirable quality. So, you have an ordeal at hand! Or Do you? Not quite mates! 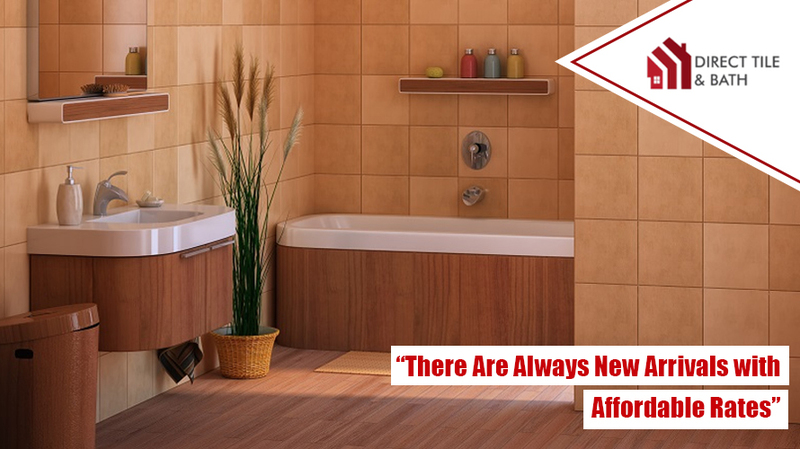 If you have ever checked out the quality of affordable bathroom tiles and its price tag, you will know that yes the two extremes can be procured at a single go. So, judging by this statement, shopping online does appear to be the best way to suffice both your quality and affordability. It's distinctly clear that not many are sure of this bold statement. So here's indexing a few pointers which could put things into the right perspective. "You Always Have a Better Alternative"
The price bracket you are willing you expense. Your desirable design, colour and also the patterns. The shape and dimension of the tile. And also the type: sandstone, concrete, porcelain, ceramic, wood grain, splash-back or any other. You get these filtering options precisely to ensure that you get the design you are seeking and that too at your desired price range. If you think rationally, with such multiplicity of designs flaunting in front of your eye-line you are bound to like something within your expenditure's maximum stretch. "There Are Always New Arrivals with Affordable Rates"
The thing about online tile shops is that they always keep stacking up their portico with new inclusions. And, if not mistaken, most times you will find them available at cost-friendly rates. So whether non-slip matte-finish bathroom tiles or porcelain ones mixed with clay and other minerals (finely polished off-course), a constant addition of attractive tiles come up. Plus their price bracket usually lies somewhere between Au$24 to Au$36 is surely in your affordability terms. 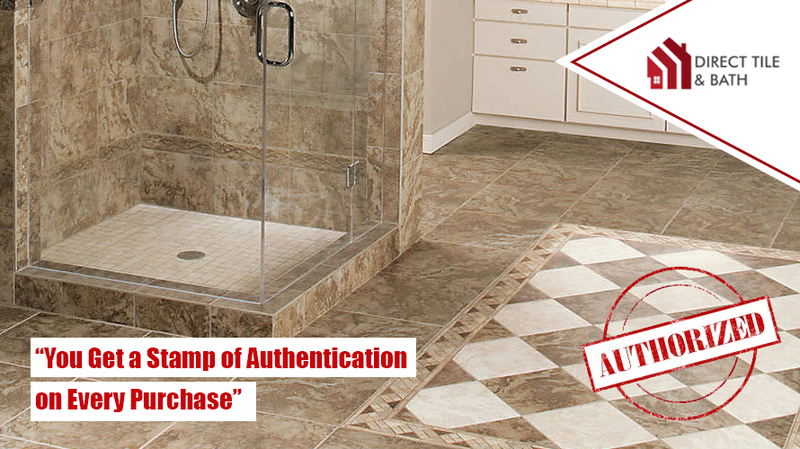 "You Get a Stamp of Authentication on Every Purchase"
When you shop from offline stores (at a higher price usually), What's The One Thing Which You Look For To Determine the Quality and Genuineness of Tiles? It's always that Watermark certification as well as Australian Standard manufacturing. Isn't that true mates? You bet it is. Well, here's a secret. When you shop with reputable online tile supplies, you even get assurance proof that the tiles have been quality tested. Plus they will also present you with Australian Standards Water Mark certifications along with the packaging. On top of that, you also get a contact number to buzz if say you need to inquire about something. So the balance of equilibrium between the two stabilises and what makes online shopping a slightly better option if because of the price difference. 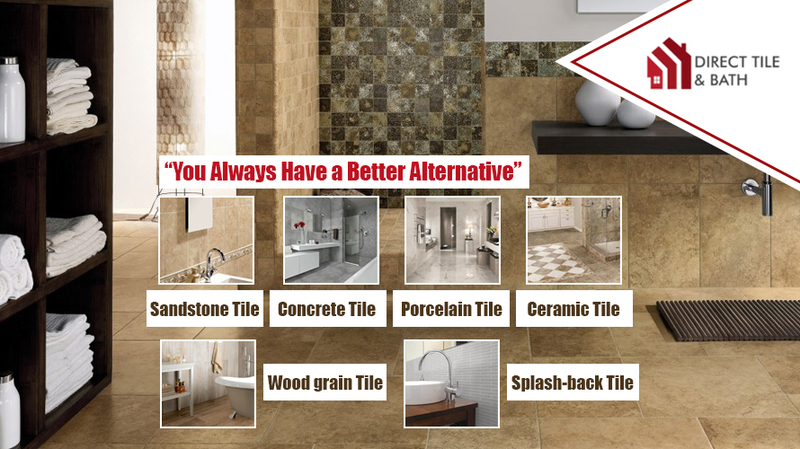 Thus, without evoking any controversy, it is safe to state that online tile suppliers (those with recognition and good customer reviews) are the best way to purchase quality tiles and affordable rates. Now you know, so go ahead and pick out that supplier and start selecting those tile designs which appease your eyes and pouches! As the New Year has finally arrived, you now have lots of reasons to choose subway tiles for your bathroom decor. These Always Classy and Always Trendy rectangular tiles were first used for embellishment purposes way back in 1990. Initially used for subway terminals, these chic decor elements gradually made its way into personal cookeries and bathrooms. Today as it stands, they are labelled as highly versatile tiles, perfect for lending in that touch of extravagance to your interiors. These tiles inspire and amaze and safe to say are perfect choices for your bathroom renovation. Have a glance down at some of these bold n beautiful designs. Read On. Dramatic monochrome – It is one great way to go beyond the usual usage of subway tiles! A perfectly soothing tile backsplash with the right degree of greyish tints is what will give your contemporary bathroom that striking tenor. Working with dark tiles is always an ordeal but by lightening up the bathroom space with at least a single while element will do wonders to its dazzle. Festooning your bath with variegated marble-style marble Subway tile is another great option to go GAGA over. Simply use classic subway patterned tiles of gold and grey colour patterns and create the aesthetic ambience. To ascend its visual aspect further, you can even use blue mosaic accent flooring. The segregation of the wall and the floor will create a distinctive contrast but which is so incomplete without the other. This One Is What Many Aussies Witness in Their Dreams and Don’t Even Think That It’s Vague! Just refer to top subway tiles suppliers in Perth and install perfectly cut out teak green ones for your bath. That glitsy walls and green drops sprinkling over you makes you feel like a more forest vicinity and a recuperative getaway. A Note – Ensure the positioning and strength of the lighting are crucial. Something like a while illumination (Light yellow is a BIG NO) should be a good option. These are 3 striking bathroom designs using subway tile ideas which you can use. However, just if you change your thoughts, there’s one minimalistic yet classical design which will never cease you stupefy you! Yes, you guessed it right! It's that age-old combination of Black and White. Very few colour unifications are as classical as these two. So, why not give your bathroom that vintage panache. Just take up black and white textured subway tiles and roll back those years when class meant this permutation. Adorn the walls with white tiles and install the black ones on your bathroom floor. Their polished finishes will illuminate the whole space, and its vintage compatibility will create magic on its own. So, there you have it, some noteworthy designs to decorate your bathroom with! To get all the supplies and proper installations contact a reliable supplier immediately. Freestanding Baths - Why Should You Install One in Your Bathroom? The time for New Year is knocking at the door, and it is undoubtedly the perfect time for you to redecorate your interior to give it a fresh new look for welcoming the New Year with grace. With the fixtures and other decorating material on sale, it will be a great decision on your part to make the decorating effective yet budget-friendly. It is best to start with your bathroom as because the availability of incorporating something radically different in design and appearance can be done with space. Creating a centre of attraction for your bathroom is necessary for building the dramatic appeal. Installing freestanding baths in the bathroom will be the best decision on your part that can make your bathroom look different from its older version. Well, the choice can become critical when you have to choose between the built-in baths and the freestanding ones. Appearance: There is no doubt about the fact that the built-in baths are more traditional in appearance and functionality. On the other hand, the freestanding ones have a contemporary look that can enhance the style of your bathroom. Focal Point: If your sole purpose is to create an attraction point, choosing standalone baths will be a wise decision. One of the most significant drawbacks of built-in baths is it needs to be installed at one corner of the bathroom. It will never create that visual focal point that you want desperately. Evidently, you can place the freestanding bath anywhere you want. Visual Illusion of Space: When you look at a bathroom having a standalone bath in the middle of the place, you will probably start thinking the bathroom to appear more spacious than it initially is. It is because of the space that remains available at the nooks and corners around the bath that create the illusion. However, as you look at a built-in bath, you will instantly start feeling that the space in the bathroom got reduced. Are the Freestanding Baths Easy to Maintain? You will find no difficulty in maintaining or caring for the baths. Those are quite light in weight, giving you the option to move it wherever you want as per your convenience and preference. The standard cleaning agents are enough for the baths to get cleaned up. Sometimes, even the shower of water is more than enough to keep the bath appears as it is. Does Freestanding Bath Complement the Decor? Only if you have chosen a contemporary appearance for the entire bathroom! The baths made catering to the modern minimalistic designs in mind hardly go with any traditional style. The baths with a black coating on the exterior and white in between look brilliant when placed in any modern bathroom. Mix it with the most exquisite white gloss tiles, and you will get an appearance that spells luxury in its right way. Consulting the experts of renovation is recommended to ensure your investment shows some worth. Cost-effectiveness is undoubtedly one of the significant benefits of choosing the baths. When you can create a subtle and contemporary appearance by installing only a bath instead of a lot of other fixtures, it will surely be included in your quota of profit when you choose these baths to be installed.